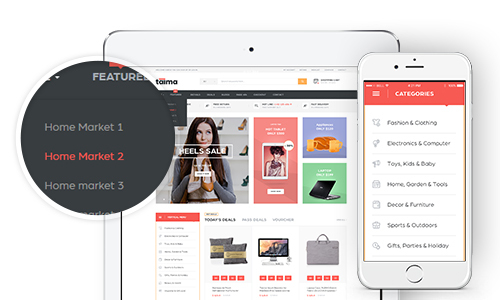 Taima – fully responsive Electronics WordPress theme is built with WooCommerce platform. The theme comes with 4 beautiful home page layouts. All required pages for an eCommerce site is included and additional pages with pre-built short codes. SAVE YOU $53 – The WordPress theme includes the best selling plugins: – Slideshow plugin – Slider Revolution (save you $19) and Page builder plugin – Visual Composer (save you $34). Ease of usage & customization – The theme is built with Opal Framework with intuitive theme control panel that has useful built-in functionality to manage your site. The well structure and clean code base make the customization easier. The theme is optimized to maximize your site speed and power your site with latest web technologies: Bootstrap 3, Font Awesome 4, SASS, HTML5 and CSS3. 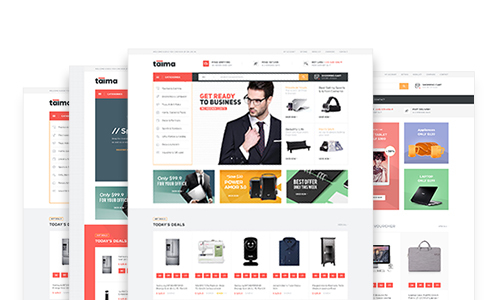 Taima is innovative eCommerce WordPress theme powered with WooCommerce designed for Digital, Electronics Supermarket, Fashion, etc. The Electronics WordPress Theme is fully responsive at core based on Bootstrap 3. Every single element is designed to beautiful display in all devices. 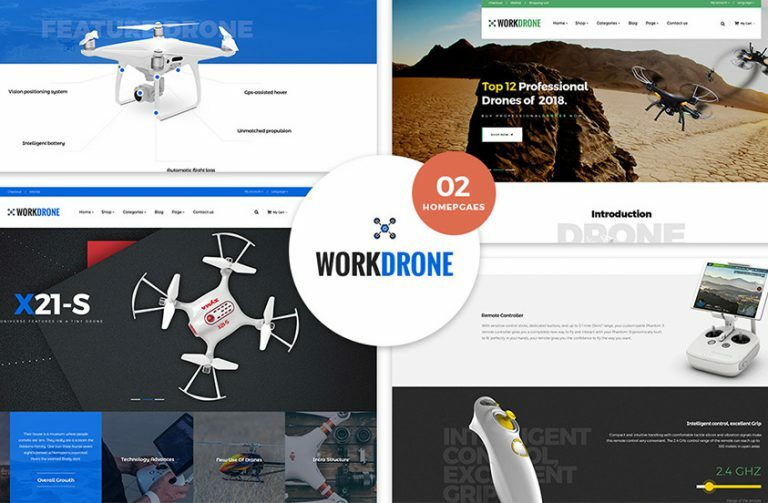 The WordPress theme for Computer, Electronics, Digital is super flexible, you can adapt it for any purpose, you can select any layout from the 4 pre-built ones or build your own one. Taima WordPress theme supports multiple menu systems: Megamenu in normal layout, Off-canvas menu in collapsed layouts. 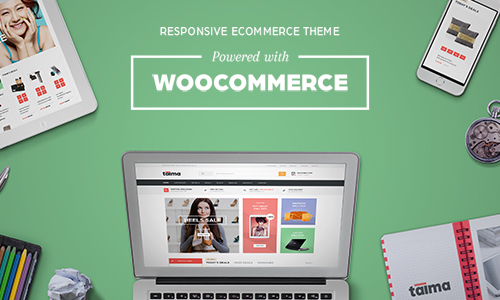 The Woocommerce theme has its own intuitive theme control panel with built-in functionality to customize your site easier. 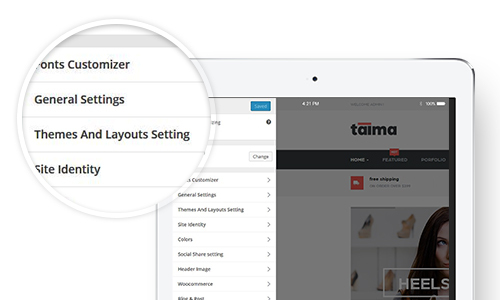 Taima supports all required pages of an eCommerce website with customize design. It also includes additional pages: Blog, Portfolio … to save lots of time to build content.